Whatever happens at the Golden Globes Sunday night, just bear in mind that a very important performance wasn't even nominated. 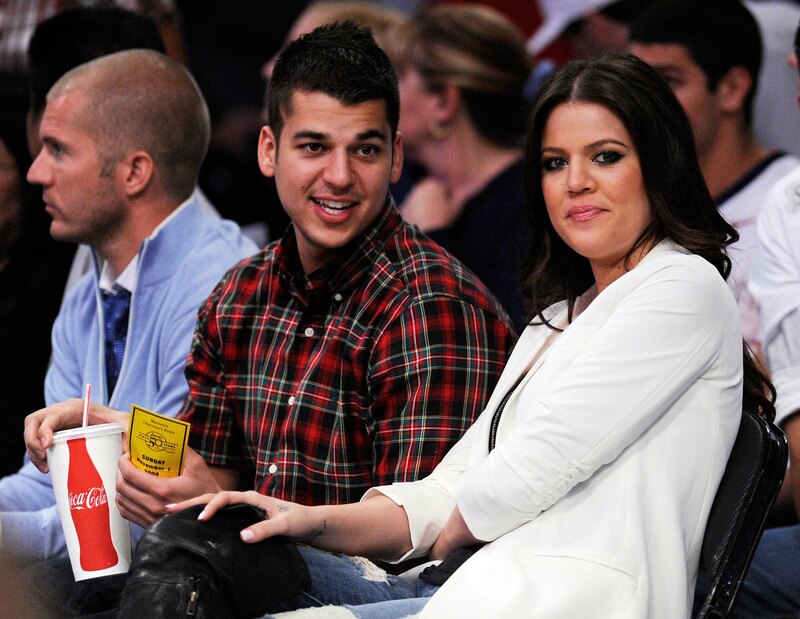 That performance: Rob Kardashian in Keeping Up with the Kardashians . "But that's a reality show," you say. "You can't give an acting award to someone in a reality show." Well, why not?! Some of the most nuanced, brilliant performances have hailed from reality shows. "They aren't acting," you say. "They're just living in front of the camera. There's no art there!" Oh, my friend. Reality shows are much more complicated than that. And shh! There most certainly is art there. Granted, reality shows are different from scripted shows. As much as it pains me to admit it, it wouldn't sit right with me if the Hollywood Foreign Press Association lumped the performances from Homeland and Vanderpump Rules together. But that shouldn't mean reality shows deserve to be overlooked entirely. Give 'em their own categories, dang it! If I had my way, Rob's performance in Keeping Up with the Kardashians season eight would earn a Golden Globe for Outstanding Supporting Actor in a Reality Series. His contribution to the series was outstanding AND supporting(and supportive!). The unsung hero of the season. We the audience didn't realize what a rock he'd been for sister Khloe Kardashian all season until the moment he announced he was moving out. When Rob told Khloe he couldn't stay in Khloe and Lamar Odom's house any longer, Khloe looked like the rug had been pulled out from underneath her. Say what you will about reality shows, this was a very sad moment. As disappointed as Khloe was, she seemed to understand his decision. Rob wasn't abandoning ship. He'd been there for her all along, but he is a human with limits. Khloe and Odom's issues were taking a toll on him. Rob needed to get better, and to get better, he needed to distance himself from the "bad energy." During the finale, Rob said, “I hate to see my sister hurt and it’s just sad to see someone who’s my best friend and my brother going through a really dark period because he’s part of our family. It’s definitely time for me to get out of that house because I’ve been holding in so much. As much as I love and respect my sister Khloe and want to be there for her, I really need to fix myself.” It wasn't a selfish move. It was a smart move. He was supportive for as long as he could be. You can only be so supportive of others if you're having trouble emotionally supporting yourself. So yes, Rob's supporting role was supportive and moving. But what made it truly outstanding? Chainsaw art. The "Rob gets into chainsaw art" storyline was one of the greatest things to happen on television in 2013.